In part I of this study1 the Rorschach method was used as a means of estimating the "changed" personality of patients with cerebral tumors. 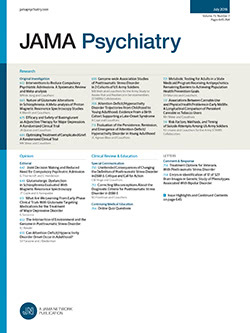 After a comparatively uniform and typical record had been found in a study of 28 preoperative and postoperative records of patients with verified lesions, a composite psychogram from such records was used as a standard, with which the psychograms of clinical "tumor suspects" were compared. Examples were given of records which fell easily under the type characteristic of persons with cerebral lesions and of those which could not be so classified. The Rorschach diagnoses were verified clinically. Three possible explanations of the personality changes were considered.